The Novum Hotel Thomas Budapest is located near the Budapest East Railway Station. It offers typical Hungarian cosiness. The 37 rooms are functionally but stylishly equipped and have a bathroom with shower and toilet, satellite TV and hair dryer. A rich buffet breakfast is served in our breakfast restaurant. 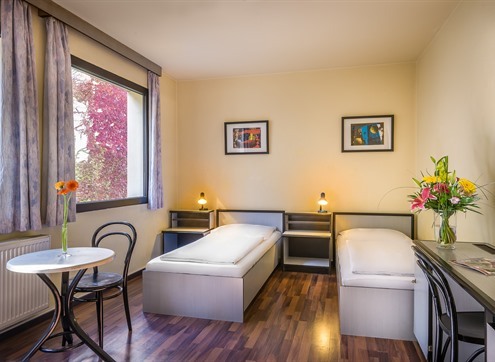 These rooms with 23 m² have 2 single beds (each 90x200 cm), facing the street and have a TV with cable TV program. The bathrooms are equipped with shower, hairdryer and hand and shower soap. 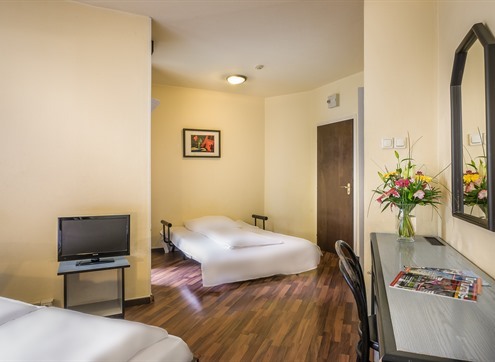 These rooms with approximately 21m² have 2 single beds (each 90x200 cm), are facing the courtyard and have a TV with cable TV program. The bathrooms are equipped with shower, hairdryer and hand and shower soap. 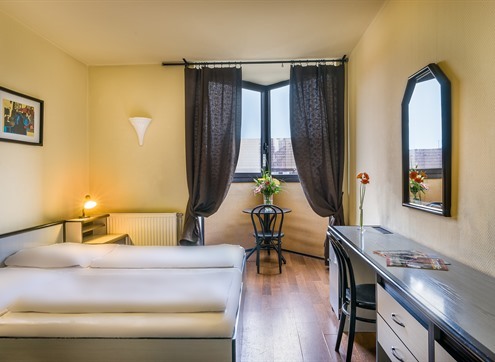 These 25 m² rooms have a double bed (200X200) and a sofa bed (each 145x200 cm), are facing the courtyard and have terrace or air conditioning as well as a TV with cable TV program. The bathrooms are equipped with shower, hairdryer and hand and shower soap.